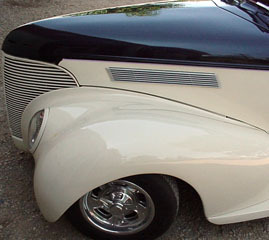 The above vent is designed for the hood side panels of street rods. 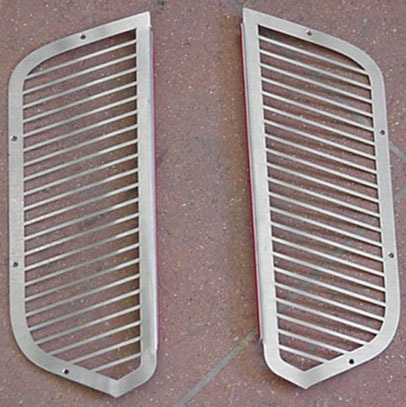 We currently sell 12" and 24" long vents. 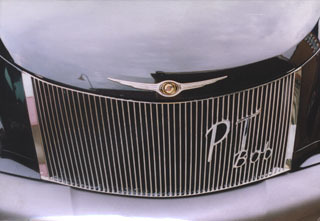 The 24" version is shown. 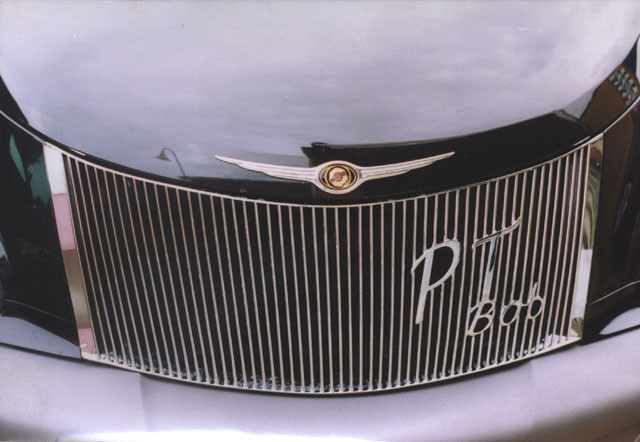 Click on the pictures to see a larger view. 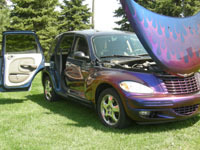 We have available bare and clear anodized, other anodized colors are available, but may be at an extra charge. 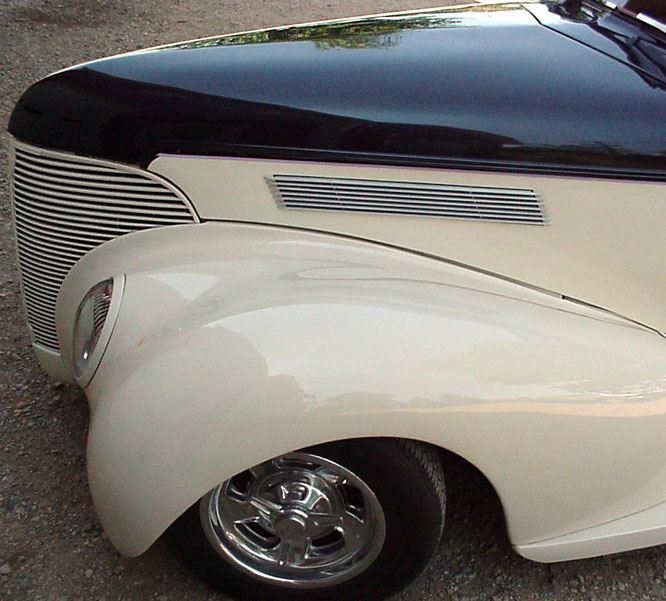 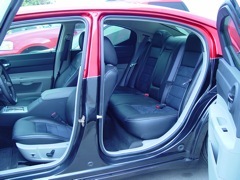 We also have interior A/C vents intended for street rods made by Vintage Air. Customized versions, or totally custom vents can be made to special order. 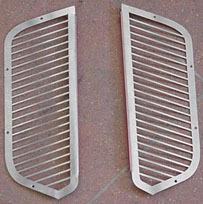 The above is an intake grille we custom designed for a particular boat. 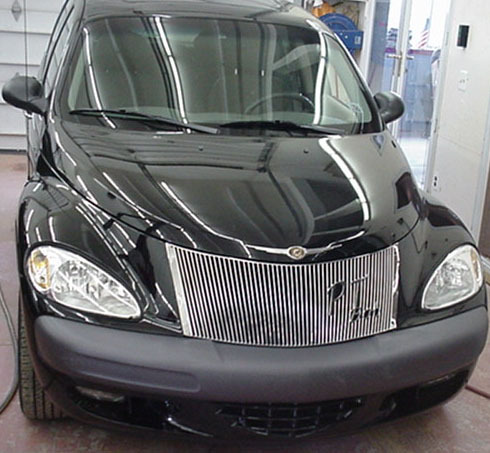 The above are two pictures of a custom built and chromed grille made by Street Dreams for a Chrysler PT Cruiser.